While an amazing story or gameplay sequence can be memorable, the best moments in gaming happen when the medium brings people together. Whenever a game forces two players to work in tandem, and team up, it’s always satisfying. That’s why cooperative games are so popular, both online and locally. That said, most co-op games are exclusive to online modes in 2016. That’s still good fun, but it doesn’t quite replicate the enjoyment of being in the same room with another person. There are still some amazing couch co-op games, though, and that’s why PlayStation LifeStyle put together a list of 10 PS4 couch co-op games worth playing. If you’re looking for something good to play with either your friends or a significant other, then we’ve got you covered. 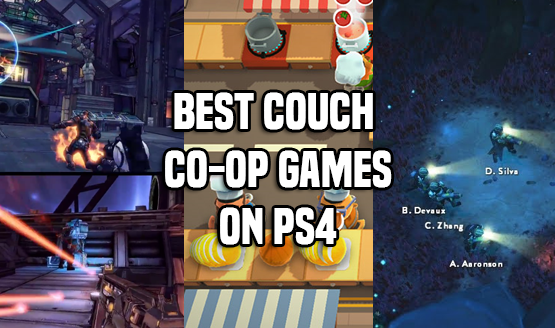 Check out our list of 10 PS4 couch co-op games that you need to play below! We hope you enjoyed our look at 10 of the best PS4 couch co-op games. While we only showed off 10 couch co-op games that are worth your time, there are even more than that worth playing. So, if you’re looking for a game in a specific genre then leave a comment below, and our community will try to give you a great gaming recommendation. From first-person shooters to role-playing games, there are quality couch co-op experiences in just about every genre now. Let us know in the comments what PlayStation 4 couch co-op games you have enjoyed playing, and which ones you’d recommend to other video game enthusiasts!